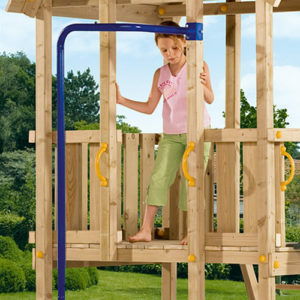 Every play tower deserves the @swing! 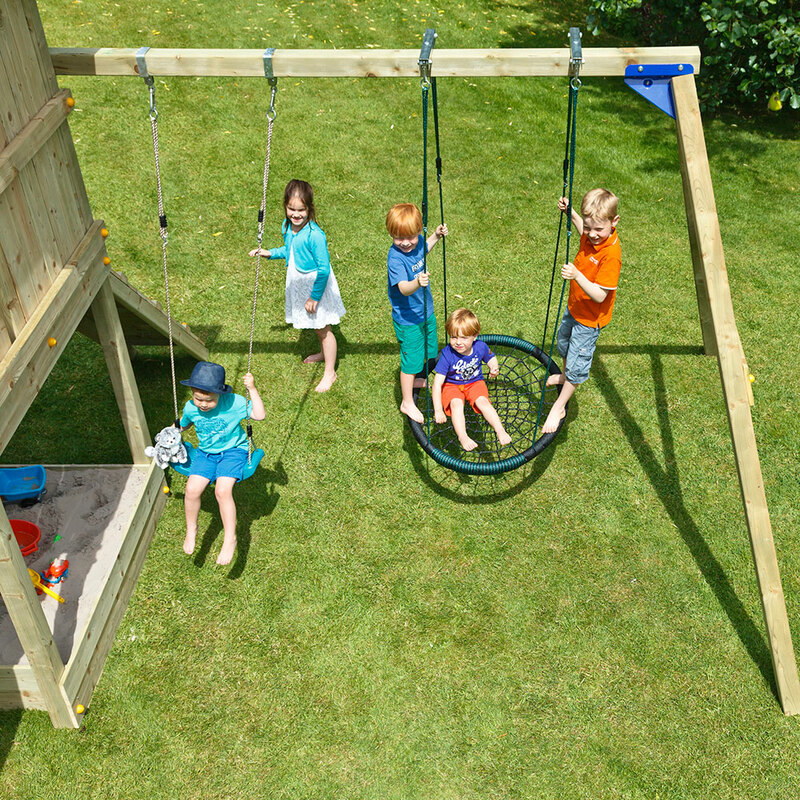 Avoid the dilemma of choosing between a play tower and a freestanding swing. 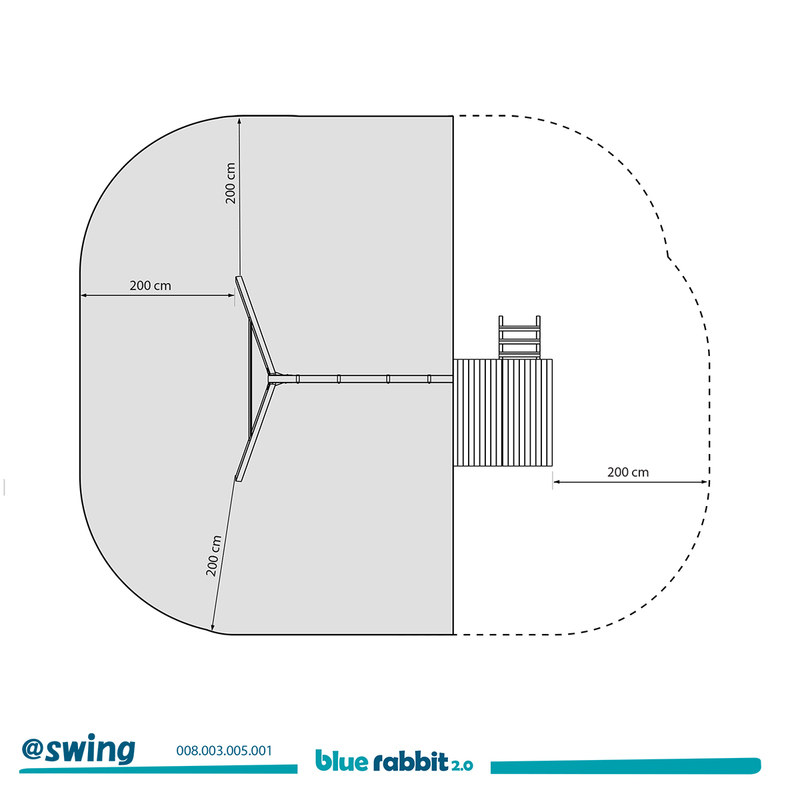 Simply add the @swing to the tower of your choice! This classic combo provides plenty of variety for the children. You can choose your favourite swinging accessories in the extensive KBT catalogue. 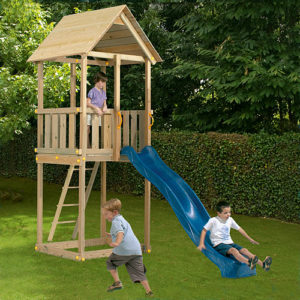 Attach the big version to play towers with platform height 1.5m, and the smaller version to towers with platform height 1.2m. The @swing building box is the same for both versions. Only the length of the wooden beams is different.